We are completing another fine year at Kehilla and we have done so under very tough circumstances. I invited all of those present to share their highlights from Kehilla’s past year. There are many benefits of a growing membership – more diversity, increased financial resources and more energy and leadership. We are going through a strong period of growth. After a few years of slow or no growth, we have had 40 new member households join Kehilla each of the last two years and our overall membership has grown from 382 to 422 member households. We continue our steady path to solid financial ground and long-term sustainability. Our annual budget is $966,000 and for the third year in a row, it is likely that we will finish in the black. The largest portion of our income comes from membership pledges ($517,000), but the money we bring in from contributions ($158,000), educational fees ($114,000), program income ($97,000) and rentals ($67,000), is crucial to our sustainability. By far, Kehilla’s biggest expense category is Personnel, which makes up about 69% of our yearly expenses. It is important that we speak about money, a subject that is not always easy for folks to talk about. For us to build and sustain our beloved community, we need to raise money, and to do that, we need to ask people for money. We have been able to continue developing our culture of giving in a way that both honors our values and recognizes the need to raise money to run the synagogue. We are very pleased that because of the hard work of many people and the generosity of hundreds of Kehilla members, we were able to meet our fundraising goals for the year. In addition, this year we added another 19 people to Kehilla’s Legacy Society. We now have over 60 members who have committed to an afterlife gift to Kehilla. We participate in a Jewish community-wide Life and Legacy Program and because we were able to bring in so many new legacy donors, we received a $10,000 grant from the East Bay Jewish Foundation. I want to say something about change: change happens. But when change happens and particularly when people who have made a real difference in our lives leave, we can feel off balance, or concerned about our stability. Kehilla is in a period of significant change in our clergy and our staff and that might make some of you apprehensive. But I can assure you that we are strong enough and solid enough as a community to handle these changes and to come through them even stronger. As we all know, Rabbi David will be stepping back this July into his new role as Active Emeritus. He will continue working as a Kehilla rabbi about 25% time. 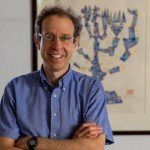 It will take all of us, and most especially Rabbi David, time to adjust to his new role. On July 1, Rabbi Dev will be stepping into the Senior Rabbi role, and we are all excited for this. Founding Rabbi Burt Jacobson will continue serving our community. And Hazzan Shulamit will not only be continuing but will be increasing her time and stepping into new roles. And we all benefit when we have more of Shulamit. 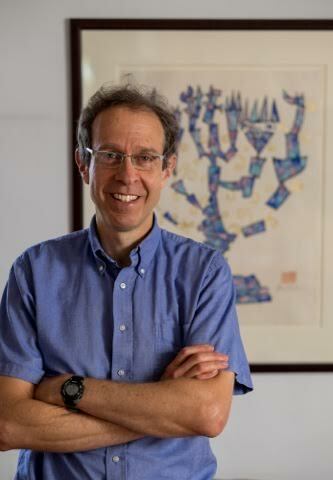 On July 1, Rabbi Dev will be leaving the role of head of Kehilla School and we are very excited that in early July we will be joined by our new Kehilla School Director – Rabbi Gray Myrseth, who will be joining us following their ordination at Hebrew College in Boston. We have also been going through a period of administrative transition – and are taking the opportunity to strengthen our administrative infrastructure. This past winter, our beloved Communications Coordinator, Sasha Gottfried, retired after 18 years. We are delighted that we have a new Office Administrator, Dee Ward, who has already made an impact with her warmth and superb organizational abilities. We are having another transition. Our Operations Manager, Beth Bittle will be leaving Kehilla in the middle of June to pursue her passion as a leader of outdoor adventures and to spend time with her young son, Rowen. We have begun a search for a new Operations Manager. We are also excited to be hiring a second custodian for nights and weekends, and a bookkeeping assistant to support our current bookkeeper, Molly Melamed. And finally, I continue to think that our greatest strength is the vast and diverse group of congregant leaders that make much of the work of the synagogue happen. We are excited that in this upcoming fiscal year we will hold our 2nd Annual Leadership Retreat.